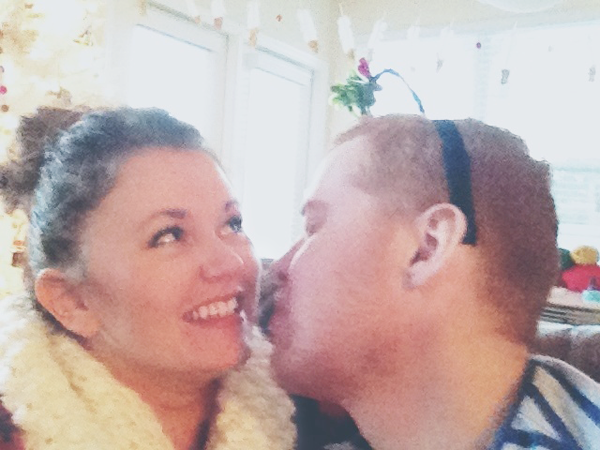 J was feeling like a lonely little elf under the mistletoe... but I could fix that. Thanks Steve and Steph for the super fancy headband. A little reminiscent of last year, yeah? 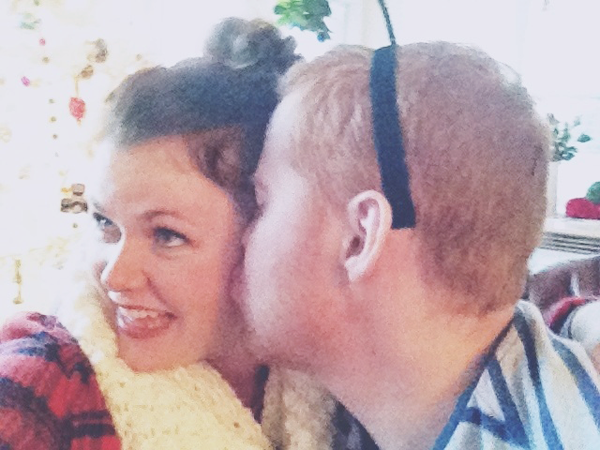 Consider this our 2012 Christmas card. omigosh, that is such a cute headband. LOVE IT. These pictures are so cute. Looks like it took Jason a minute to get on board with his new headband in the first pic. Great gift from sunny Cali. died laughing. made our night. Those pictures are so cute!! !Have a happy Christmas! hey... do i spy felt balls on your tree?? i want some for my babies crib. where did you find them?? you really have the best style and i'll pay you to come do my house one day! yaya! 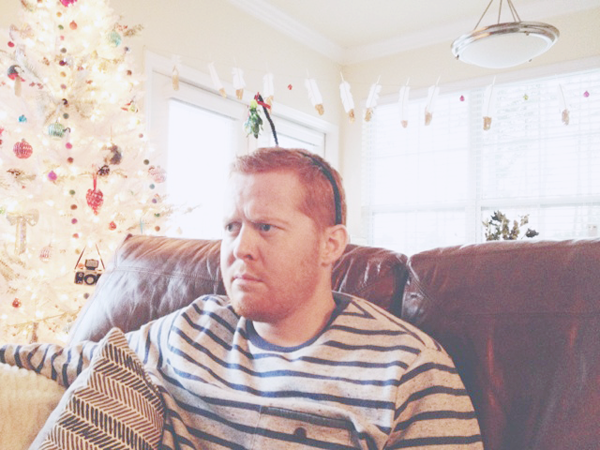 I love the mistletoe headband! I've gotta remember that for next year. This is by far my favorite ever...such a cute Christmas card!